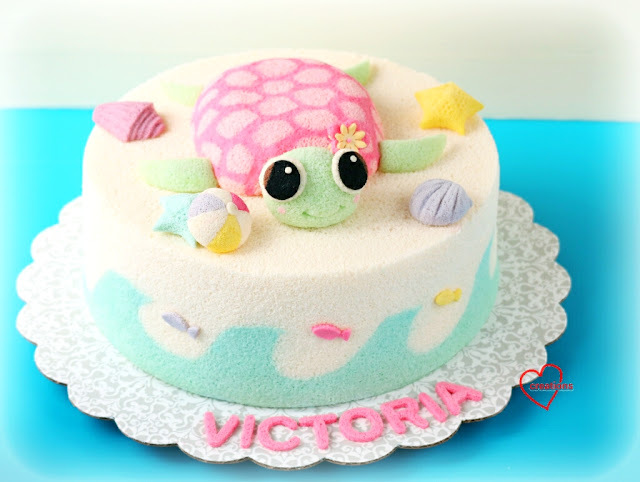 This very sweet-looking chiffon cake was made for my mummy friend's lovely daughter Victoria! 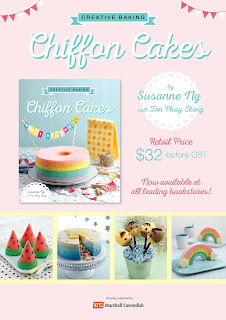 This is my 4th chiffon turtle cake! 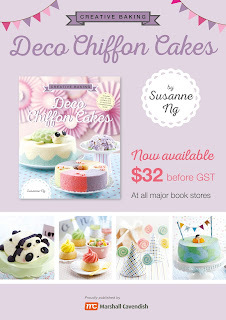 I made it for a close friend last year, and for my nephew, and the cake ended up in my 2nd chiffon cookbook Deco Chiffon Cakes, and even made the book cover! Something about the big adorable goggly eyes I think! This will be a short post, as I have shared the full recipe in Deco Chiffon Cakes (below), including picture tutorials on how to pipe and bake the 3D turtle. Here, I was happy to make a pink turtle finally as it was the original cartoon version I had envisioned (and pink is my favorite colour! =p).